3K Razorbook 400 specifications, info. The RazorBook 400 is the US version of a cheap netbook sold under several names around the world. It has a 400MHz MIPS based CPU and comes with a 2 cell, 2100mAh battery. It's currently available with a custom version of Linux. 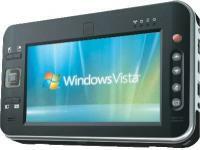 A Windows CE model is coming soon. 3K Razorbook 400 news and review links.